Our web agency wishes you a merry Christmas 2010. To celebrate Christmas, we have braid garlands with our logo and wind them around a virtual Christmas tree that your mouse can make rotate on itself. 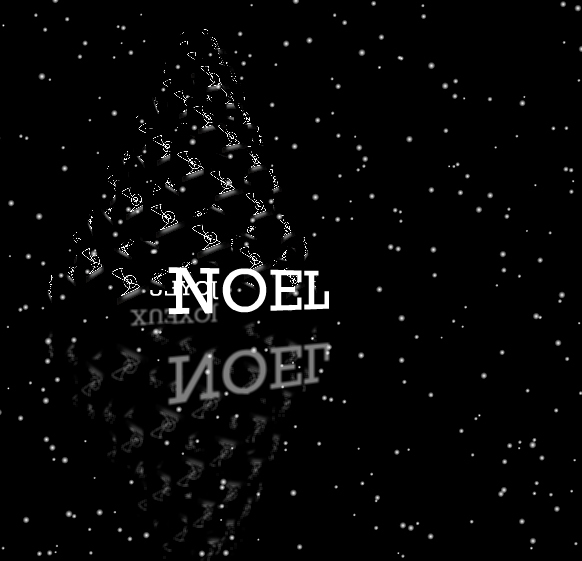 The tree is reflecting on the floor, with thousands sparkling copy of our logo, like the joy of Christmas getting reflected into all the minds, in particular those of our actual and future clients and of all the regular visitors of that website. Percept-studio wishes to all his clients and to all the visitors of his site a merry Christmas and a happy new year and has built a flash application to express that wish of joy and prosperity. Discover this month our Christmas showcase, the 3D rotation of a tree made of many reduplications of our interactive agency’s logo. And all around that tree the snow is falling down like sparks of a shared happiness. And to celebrate that Christmas, why not offering to your company the brightest present, the one that will make your brand image the most beautiful and brilliant for everybody? Yes, why not offering to you such a website that your company deserves, a unique creation.